Do you want to attract more visits to your online store using Facebook ads? You can use lookalike audiences – a type of personalized audience segment that will help you reach people who are similar to those audience segments already interested in your business. 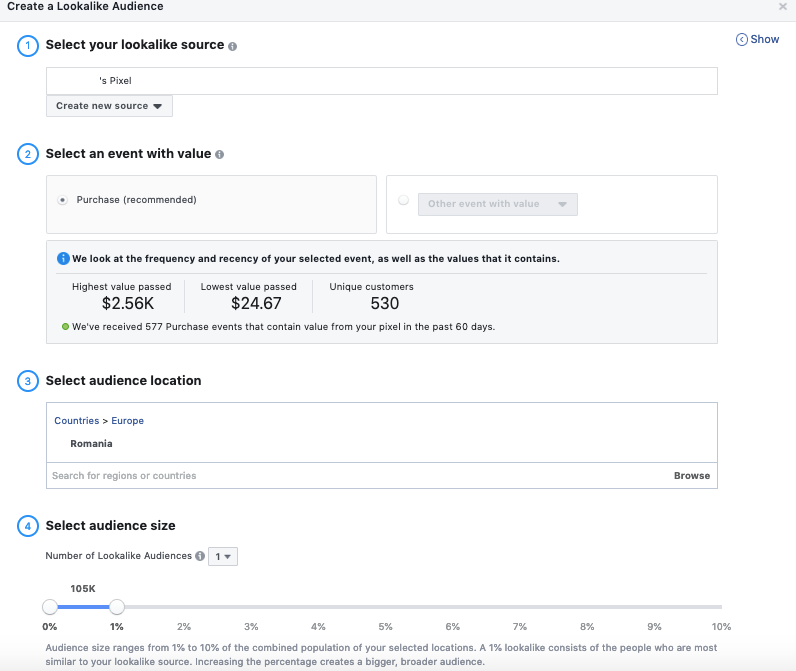 What is actually a lookalike audience in Facebook Ads? Facebook Lookalike Audiences can be created starting from a Facebook custom audience. Based on a previously created custom audience, another audience can be built consisting of people with similar interests and behaviors. This is what a lookalike audience for Facebook Ads actually means. For example, if you have an already created audience tracking the behavior of your store’s visitors (adding products to the cart, making a purchase, adding products to the wishlist, etc. ), you can tell Facebook to find those users who have a similar behavior pattern. The good part when using the Lookalike audiences is that they are updated every few days if the used source is a dynamic one, which, in turn, constantly updates (for example, a Pixel based audience). This helps us save time because we no longer have to manually update or constantly create new audiences for each campaign. Step 1: Once you’ve accessed Facebook Ads Manager, click on the Audiences main menu. Step 2: If you already have a created custom audience, the next step would be to create a Lookalike audience starting from this point. In the window that opens, go to Create Audience and select Lookalike Audience. Step 3: You have reached the step where you have to select the source on which you want to build your Lookalike audience. You have the option of building your audience based on the events collected by pixel in real-time (Value-based) or based on custom audiences. If the data collected by the pixel is enough, it is advisable to use the value-based audiences. Depending on the type of visitors you want to attract, you can use the pixel events. Do you want to increase the number of the site visitors? Use the PageView event. Do you want to increase the number of orders? Use the Purchase event. The latter is the most used. Step 4: If Step 4: If Pixel registers all your data, all you have to do is select the pixel event on the basis of which you want to create your audience (Purchase / View Content / Add To Cart / etc), select the location and size of the audience. If you want the lookalike audience to be as close as possible to the audience you already have in the pixel base, then choose 1% – this is the closest attribute to the base (reference) audience. The more you move away, the less likely the audience to resemble the existing one. If the data the pixel has collected so far is not enough, it would be best to build your lookalike audience based on a Custom audience (Other sources). It may take between 6 and 24 hours until the Lookalike Audience is created. The good news is that it will refresh every 3 – 7 days. 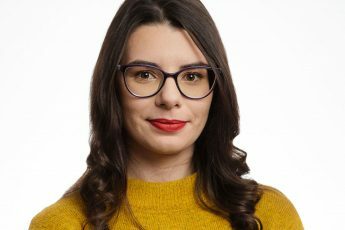 How to restrict a lookalike audience? 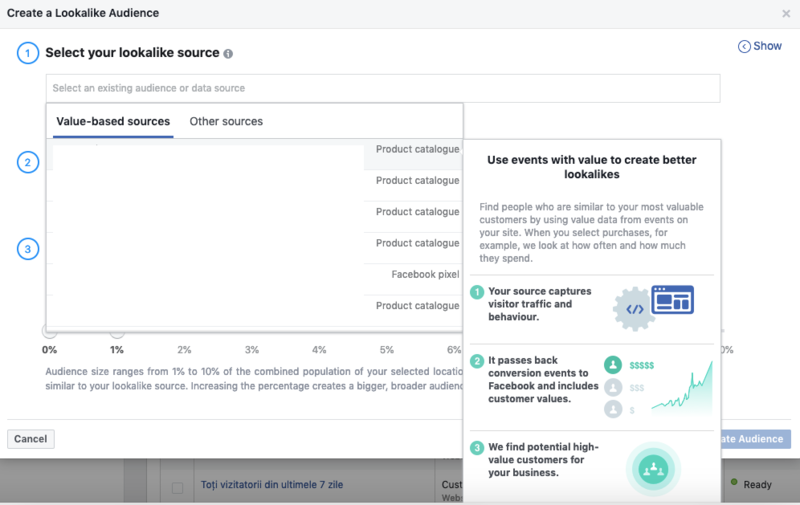 You’ve previously discovered how you can create a lookalike audience, but now we’ll show you how you can use your audience to get the best results in your Facebook ads. 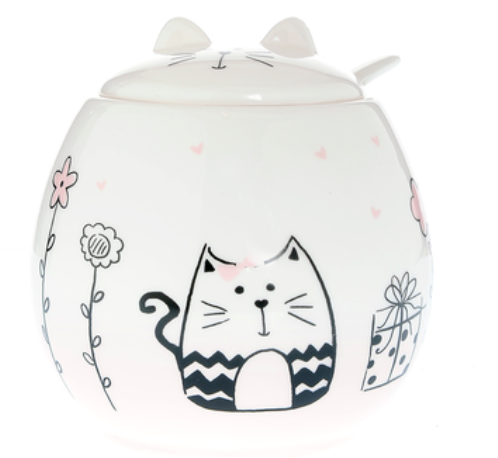 For example, we want to create a Facebook ad for a ceramic cat pot, and we want to use the Lookalike audience we have just created. In order to increase our chances of success, it is not enough to leave us with a gross audience without any other configuration. So, besides the 1% lookalike audience, I also select the location, age range and type of audience that I want my ad to reach. After applying age, gender and location settings, the audience of 1,300,000 people dropped to 500,000 users. You can still restrict this audience by adding interests or even eliminating a few, until you reach a useful number. It is not absolutely necessary to restrict the audience created by the lookalike audience, you can keep it and display the ads to all users. However, experience (practice) shows that a smaller audience means a more effective advertising campaign.